The Cobblestone Museum is pleased to welcome Dr. Melinda Grube who will portray Elizabeth Cady Stanton. Grube, an adjunct lecturer of history at Cayuga Community College, holds an interdisciplinary doctoral degree in Women’s Studies in Religion. Dr. Grube’s research focuses on the dynamic intersections of 19th century religion, radical reform, and women’s rights in the “Burned-Over District” of Central and Western New York. 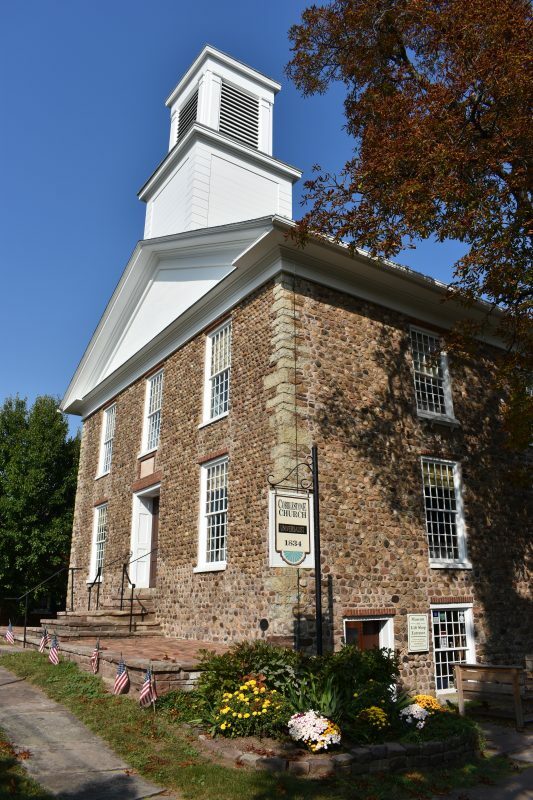 Having raised her own family in the Religious Society of Friends (Quakers), she is also keenly interested in the history and influence of Progressive Friends in the United States. A longtime interpreter of regional women’s rights and suffrage history, she frequently performs in costume as Elizabeth Cady Stanton across New York State. Elizabeth Cady Stanton (1815-1902) was a key organizer of the Seneca Falls Women’s Rights Convention of 1848. Known for her keen intellect and confidence, Mrs. Stanton led the suffrage movement for over fifty years. A successful author and public speaker, she addressed such topics as suffrage, abolition, women’s rights, dress reform, divorce reform, family life, religious freedom, and free thought. This free public presentation will be held on Sunday, September 9 from 1-2pm in the Cobblestone Church. Tours of the Cobblestone Museum complex are available at regular prices following the presentation.